The U.S.-spawned whirlwind of carnage and destruction has wrecked the societies of Iraq, Libya, Syria, Somalia and Yemen, yet most Americans feel themselves blameless. “The people, the corporate media and the political system all accept that their government has the right to intervene in the affairs of other nations and that it is always right and moral in its claims.” They behave like zombified cogs in an imperial death machine. The United States used the Al Anad airbase in Yemen as the staging area for drone attacks which killed some 1,000 people since 2009. Those crimes were committed under the guise of fighting terrorism but now that same place is the location of karmic justice for the American government and its ally, Saudi Arabia. United States Special Forces fled from Al Anad before it was overrun by Ansar Allah rebels, also known as the Houthis. It is true that Saudi Arabia bombed Houthi positions and threatens to start a ground invasion with the help of Egypt. Both of these countries are American client states and would not contemplate these actions without having a green light from Washington. The story of Yemen and the shifting international alliances which have brought it to civil war are somewhat complicated. The Houthis ousted the American and Saudi backed president Hadi who is now on the run. His predecessor, Ali Abdullah Saleh, was at one time also a Saudi favorite but is now leading the Houthi advance. While the details can be confusing, one thing is simple. American imperialism and the war of terror unleashed on that region are ultimately at fault and continue to destroy nation after nation. In its zeal to have and maintain hegemony the United States resorts to brute force and supports others who do likewise. The result is dead bodies in Iraq, Libya, Syria, Somalia and Yemen, but the decisions that lead to these crimes are endemic to American policies. To say that Barack Obama and his Oval Office predecessors made a mess of the Middle East is the very definition of understatement. Because America’s goals are never benevolent its policies lurch from one awful decision to the next with human suffering being the only common denominator. Washington used jihadists in Libya to overthrow the Gaddafi government only to have those same groups kill the American ambassador. Now the U.S. is fighting the same people it supported there just a few years ago. America fights with al Qaeda and ISIS in Syria but against those same two groups in Iraq. Washington eventually chose to accept the overthrow of Mubarak in Egypt but now supports the restoration of a dictatorial regime with another leader. The United States calls the president of Sudan a war criminal but now fights on the same side in Yemen. When imperialism is the intention, events will never turn out as predicted. The chaos makes sense only when the true nature of American foreign policy is acknowledged. The shifting alliances and seemingly strange bedfellows are part of the longstanding doctrine of Manifest Destiny. Manifest Destiny asserts that the United States has the right to expand its reach anywhere it wants to. The term originally referred to the conquest of North America in the 19th century, but the thinking behind it is still a part of this country’s consciousness. While presidents go in and out of office, the people, the corporate media and the political system all accept that their government has the right to intervene in the affairs of other nations and that it is always right and moral in its claims. The numbers of Americans who question whether Barack Obama ought to be in the business of ousting the president of Syria or supporting the president of Ukraine are quite slim. The examples of foolish decisions are endless. President Reagan made deals with Iran but then instigated an Iraqi attack on Iran. Later the U.S. attacked Iraq in two different wars. 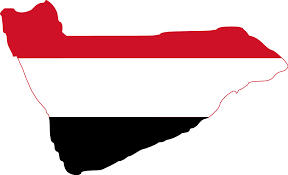 The destruction of that country led to a brutal sectarian war, and to the rise of the Houthis in Yemen. Yemen is now the epicenter of imperialism run amuck. The Saudis fear that the Shi’a Houthis will be supported by their rival Iran, which the United States now wants to come to terms with in nuclear energy negotiations. Saudi Arabia is therefore on the side of Israel in attempting to scuttle any agreement. There is still no honor among all the thieves. Whatever policy decisions Washington chooses to make will result in unintended consequences and more violence. Every escalation brings greater danger and America still has no rival for bringing destruction to millions of people. Violence and chaos have become not just the means to certain ends, but ends in and of themselves. That is just how America rolls. Margaret Kimberley‘s Freedom Rider column appears weekly in BAR, and is widely reprinted elsewhere. She maintains a frequently updated blog as well as athttp://freedomrider.blogspot.com. Ms. Kimberley lives in New York City, and can be reached via e-Mail at Margaret.Kimberley(at)BlackAgendaReport.com.